You’ve probably run into a situation where your clients are using Zillow™ or some other inaccurate source to look for property values. The problem with those sites is they are trying to use a single formula to calculate the property values of the ENTIRE COUNTRY. As a real estate professional, you know that every market is different, and you can’t use a blanket formula to price home around the nation. The solution, a localized Property eValuator that was created specifically for the Charlotte Metro-Area. 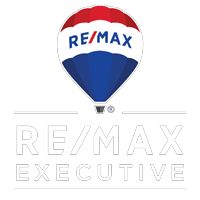 The Property eValuator uses an advanced formula that scans the market and “ranks” the top comps for any property in the Charlotte metro area. It then suggests a potential value range for that property. The Property eValuator also allows you to login and create a custom report for an individual client, where you hand-pick the comps & rank them yourself. Your client can then view their report online.